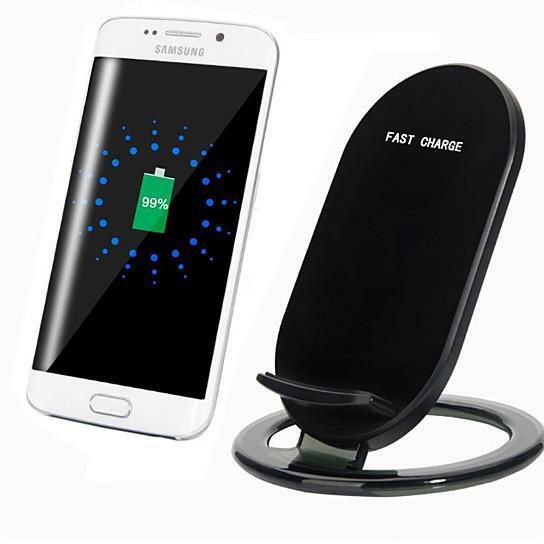 Fast Charge Qi wireless charger for your Samsung phone now charge your phones up to 80% faster with newest upgraded technology making it faster and speedier than any other wireless charger. Simply place your phone on the wireless charge and immediately the phone will start charging no fumbling to find a cord or port. Plase your phone vertically or horizontally facing front and charging will start. 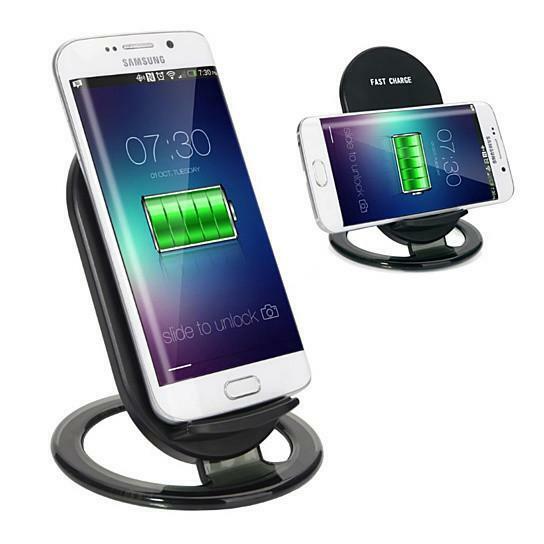 This 2 in 1 Charging Stand and charger it sits at a 65 deg Angle perfect for viewing while charging. Fully Compatible with Qi- Enabled smartphones, including Samsung S7, S7Edge, S6/S6 Edge, Note 4, 5. 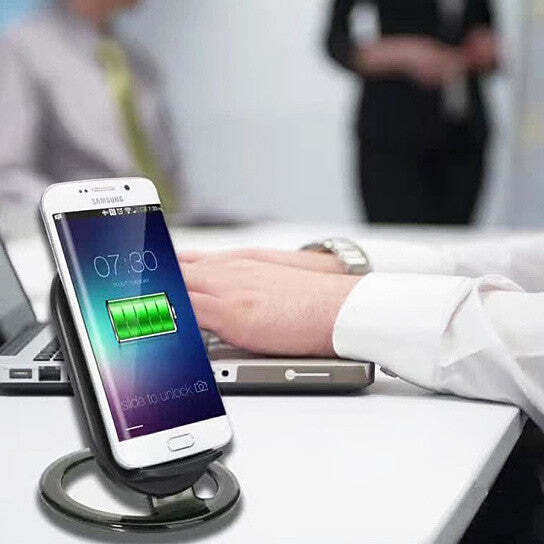 Charger Type: Micro USB with Qi Inductive Wireless Charging stand. Qi certified by WPC (Wireless Power Consortium) to support wireless charging on all Qi-enabled devices (where Fast Charge feature is not compatible, standard wireless charging speeds apply) Portable design for use in multiple locations takes no time to setup. Multi-colored LED halo indicates charging status Green for Charge done Blue for Charging in progress. USB stand-charging cord not included you can use your existing microUSBcable for that.